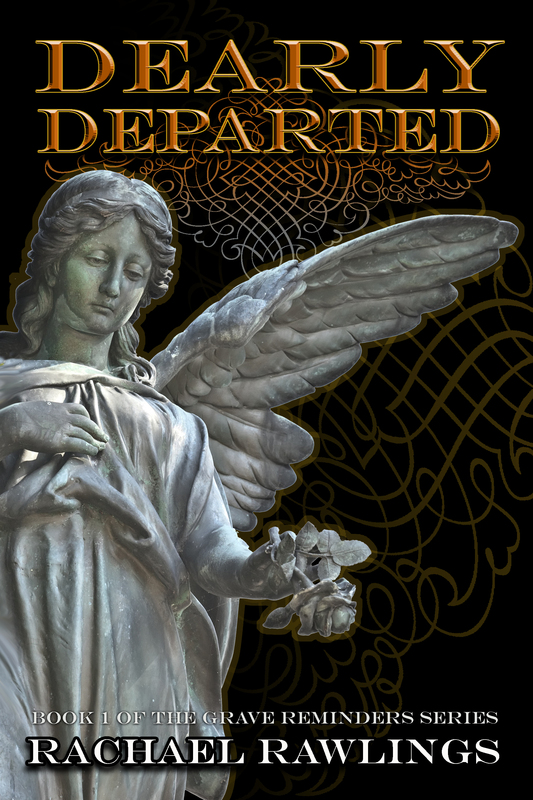 Today, I have the author of Dearly Departed, Rachael Rawlings, on my site. She’s going to share an excerpt of her book with us. So let’s jump in with both feet and hand things over to Rachael! This evening, I feel like one of the luckiest ladies in the world. I have finally gotten a chance to see my dream come true, a book in print. I have been writing since I was in grade school, going from ghost stories, mysteries, romance novels and everything in between. With my present job in a high school, I have had a rare glimpse into the life of today’s teenagers, which, to be perfectly honest, hasn’t changed that much since I was that age. My favorite books are ones in which the real world rubs elbows with the unreal, where reality is bent just enough to make us think that it could be true. I don’t need to travel to another world to see the miracle of the supernatural when I feel sure it exists just under my nose! For my first published novel, I put my main character in a place that fascinates me, the line between life and death. Dorothy is an ordinary teenager forced to deal with extraordinary circumstances. Not only are her parents on the odd side, but she lives right next to a cemetery in a tidy small town setting. Her world opens up when a visitor comes calling in the cemetery, following his own purpose and his own rules. The insistent barking of a dog caused me to turn back toward the gate where I could see the sleek shape of my mixed breed hound pressed against the slats. “Baxter, quiet,” I said, my firm voice bouncing like a crazy ball off the stone and wood. “He doesn’t trust anyone until he can smell them,” I said, frowning at the pacing figure of the dog behind the gate. Obediently, I went back toward the gate and let it swing open. Baxter ran through with amazing speed, his muscular legs eating up the ground as his long beagle ears flapped with each stride. He stopped abruptly in front of the man, his paws digging in the moist earth, his nose to the ground. It took only seconds for his sensitive nose to complete the assessment; he ran his face close to scuffed black jeans, tattered leather jacket cuffs, and over the beautiful hands before he allowed them to rest on his head. I looked at him, pondering his cryptic statement. There was very little about this man that seemed easy to discern. He was watching the dog as Baxter investigated the yard, his nose working furiously. I allowed the hound into the cemetery only on occasion, but he had always been a perfect gentleman. He never misbehaved, barked, dug, or wet in the area. It was as though there was something in his canine manners that realized the place for what is was and respected it. My eyes went back to his face, my hands burrowing into my jacket pockets as the light wind tugged my hair out of my collar. He nodded wordlessly and I watched, frozen, as he drew close to me. Closer, I could see that his eyes were a very light color, but could not see the shade. The scent of him, something like pine and soap, enveloped me momentarily as the wind caressed his figure. He was tall, and I had to tip my head back to follow his expression. One long fingered hand caught my elbow and followed my arm down to my wrist where he pulled my hand from my pocket. He enveloped my freed hand in his gentle grasp, his skin surprisingly warm and dry. “Come on,” his voice was soft, floating on the breeze, mixed with the waning fog. Many thanks to R.S. Hunter for letting me post my first blog piece. I have naturally loved writing, but have been astonished and heartened by the many wonderful writers at Hydra Publications. I hope everyone joins me in reading the other great books that Hydra is representing. The second in this series from Grave Reminders, will continue the story of my characters from Dearly Departed. I hope to explore a little further the line between here and there, the life and the afterlife. Thank you for sharing that with us, Rachael! 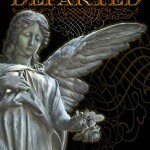 You can buy Dearly Departed in ebook and paperback forms from Amazon.com.